Aaronson Rappaport has a timeless philosophy – one that directs our efforts in everything we do. We are dedicated to meeting and exceeding our clients’ expectations in defending their rights, interests, reputation and financial well-being. We achieve this by developing customized strategies and backing them with unsurpassed legal, medical, scientific and technical expertise. Our attorneys are expert at leveraging their formidable litigation skills to achieve outstanding resolutions in all of the firm’s practice areas. Our vast medical knowledge – backed by our command of the related, inherent scientific and/or technical issues – offers our trial lawyers critical advantages in the courtroom. Our attorneys are highly skilled at challenging and defeating claims made by plaintiffs’ lawyers because we quickly comprehend and mitigate the complex medical and scientific concepts that are key to a successful defense. We have extraordinary access to their finest – and most difficult to obtain – medical and other technical expert witnesses. Our attorneys possess the vast technical background and legal talent required to ensure that our expert witnesses are fully prepared to defend our clients’ cases at trial. 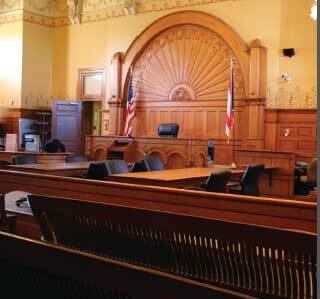 This expertise additionally propels our success in the courtroom against plaintiff’s expert witnesses. Our extensive expertise enables our trial lawyers to deftly argue issues of causation and damages to limit exposure when settlement is not an option.